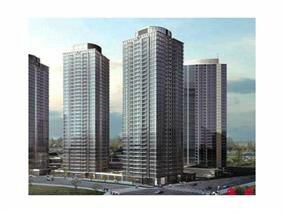 Listed by Jack Gao Regent Park Realty. East facing unit at Park Place One built by Concord Pacific. 2 bedroom, 2 bathroom with functional layout. Located in the middle of vibrant City of Surrey. Mins walk to skytrain station, bus stops, restaurants, shopping stores, SFU, library, city hall and more. Amenities include bowling lanes, games room, theatre, steam rooms, gym, yoga room and more. Come and see!